Midland Aerial Services - TV Aerials/Satellite Services based in Coventry, West Midlands. 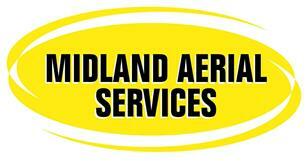 At Midland Aerial Services we take great pride in our work and good customer service. Our aim is to provide the best advice and expert knowledge to help you choose the right installation and equipment that best suits your needs. So with this we are committed to providing the highest standard installations and quality service that you would expect. Doing everything to ensure you are fully satisfied with any one of the services we have to offer. Midland Aerial Services is a voluntary member of the RDI-LB (Registered Digital Installers Licensing Body) which is the only government backed Aerial Installer Licensing Scheme. So with us you know you’ll get a good job done by a qualified installer. Anyone working for the company has undergone a Criminal disclosure (CRB) check for your peace of mind, but more importantly your safety. With over 35 years experience and with all our work fully guaranteed, we have hundreds of satisfied customers who have been very impressed with our standards of work.